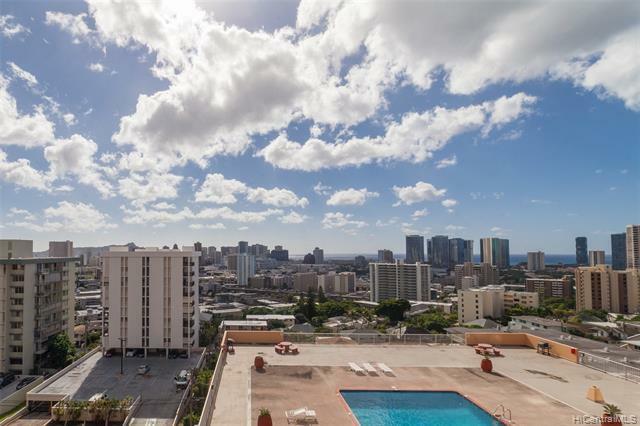 Beautifully renovated, move-in-ready unit is tucked away on Punchbowl with Diamond Head, mountain,& city views!Sits on the cooler East side w/secure entry into a boutique building. 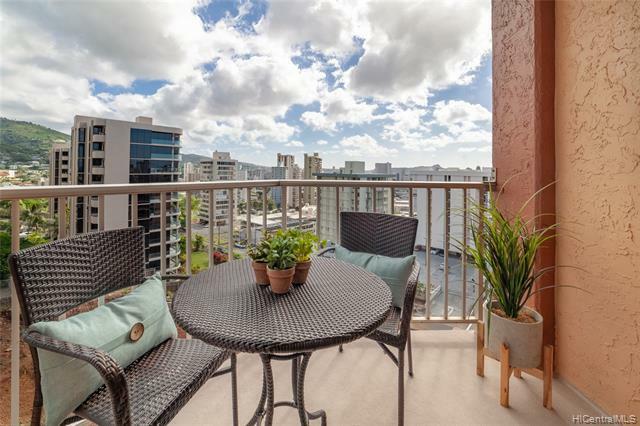 Resort-sized rec deck, pool, BBQ, & loungew/a grand backdrop of the ocean and Honolulu! Unit has new double-paned/UV filtered windows, no popcorn ceiling, and new paint! 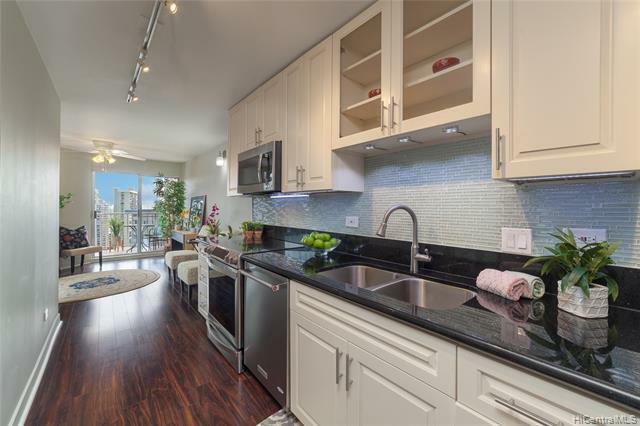 Enjoy ceiling height kitchen cabinets with under cab lights, granite counters, glass tile back splash, SSappliances including dishwasher, laminated wood floors in LR and kitchen, 3 AC units, ceiling fans, large walk-inshower, and loads of storage! Flex den has sliding doors, closet, and window for a perfect 2nd bedroom, office, or LR extension.Guest stalls, res mgr, & easy access to H-1 and town amenities! Listings provided courtesy of Coldwell Banker Pacific Prop..
Based on information from the Multiple Listing Service of HiCentral MLS, Ltd. 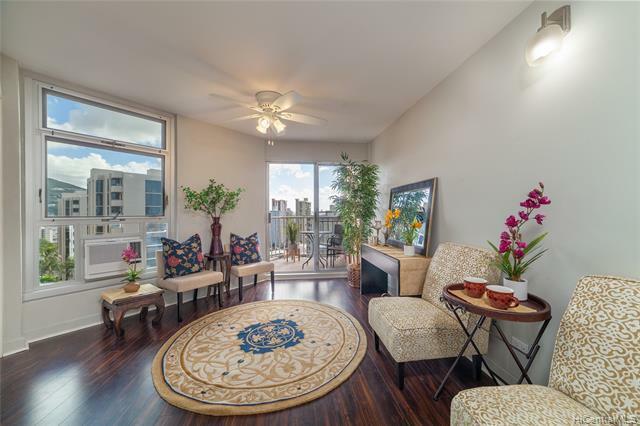 Listings last updated on 2019-04-26T03:58:46.33. Information is deemed reliable but not guaranteed. Copyright: 2019 by HiCentral MLS, Ltd.
IDX information is provided exclusively for consumers' personal, non-commercial use and may not be used for any purpose other than to identify prospective properties consumers may be interested in purchasing. Information is deemed reliable but is not guaranteed accurate by the MLS or Hardy Homes Hawaii | Michael Moran & Associates.